Tony's Kansas City: FACT CHECK: KANSAS CITY DOWNTOWN CHEERLEADERS CELEBRATE 'MEDIUM-HIGH' RANKING TOY TRAIN STREETCAR DESPITE CITYWIDE VOTE DENIED!!! FACT CHECK: KANSAS CITY DOWNTOWN CHEERLEADERS CELEBRATE 'MEDIUM-HIGH' RANKING TOY TRAIN STREETCAR DESPITE CITYWIDE VOTE DENIED!!! Civic hype and so-called "news" today was nothing more than a press release pushed forward by hacks on this town's best gravy trail . . . Unmentioned in all of this . . .
"On Aug. 4, 2017, Kansas City residents passed an ordinance, brought to the city through an initiative petition, that prohibits city officials from moving forward with any streetcar extension without first gaining citywide voter approval. That included any planning or preparation for construction." That decision by more than 50,000 voters in Kansas City was THROWN OUT BY MAYOR AND COUNCIL proving that Democracy doesn't really matter and corporate welfare runs Kansas City. (KansasCity, Missouri) - The KC Streetcar project team recently received a positive rating from the Federal Transit Administration (FTA) for the Main Street Extension to the University of Missouri-Kansas City (UMKC), marking a crucial step in moving the streetcar extension project towards construction. With the release of the FTA’s annual New Starts report, the KC Streetcar Main Street Extension project received a Medium-High rating, which will position this project to compete favorably with projects from across the country for federal funding. Though this is an important prerequisite to a future federal grant agreement, it is not a formal commitment of federal funding. The summary report from FTA is available online. The list of current Capital Investment Grant projects is also online. "The FTA is keeping their eye on the innovative things happening in Kansas City," said Robbie Makinen, KCATA President & CEO. "This positive rating is an important step to moving forward with streetcar expansion and better integrating our regional RideKC system." 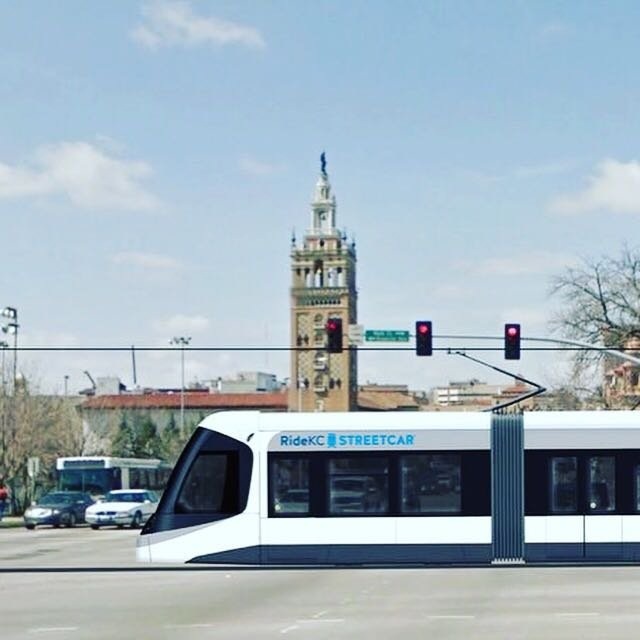 In Fall 2018, the KC Streetcar project team, consisting of the KC Streetcar Authority (KCSA), the KC Area Transportation Authority (KCATA), and the City of Kansas City, MO (KCMO), submitted the formal application to the FTA for the New Starts Capital Investment Grants Program, seeking $151 million dollars in federal funding and inclusion in the federal 2020-year budget to support the estimated $316 million-dollar project. The New Starts grant program funds transit capital investments including heavy rail, commuter rail, light rail, streetcars and bus rapid transit systems. Both federal and local funding are needed to move this project into design and construction. Local funding was approved by the voters in the establishment of the Main Street Rail Transportation Development District (TDD). The KC Streetcar project team is seeking $151 million in federal funding to be combined with $164 million in local funding from the voter-approved TDD, reflecting a 48% federal funding and 52% local funding match. Since application submittal, the KC Streetcar project team has continued to work on overall project development activities, station stop location and track alignments, NEPA/environmental documentation and development of a detailed financial plan in order to apply for federal funding. Additionally, the KC Streetcar project team recently issued a Request for Qualifications/Proposals for professional Engineering and Architectural Services for the Main Street Extension Project. The work includes Project Management, Engineering and Architectural designs, drawings, calculations, reports, schedules and cost estimates. If you aren't inside, you are outside. Get Clay in office so this silly choo choo goes away. It's already a hundred million higher then the price that the "mail in voters" were sold on. Please do not approve and fund the corrupt and wasteful Kansas City Streetcar extension. The streetcar shall ride again. Where is the check? Or is this just another press release? I was right, I was right! The streetcar is going to save KC. Just keep giving it cash. But please don't hold your breath until it comes. Actually, I've read TKC's criticism of the streetcar and what the readers really object to is how KC keeps screwing with voters. Not the merits of the mode of transit over all which is a fun little ride that deserves a little joking but that's about it. Maybe run the streetcar down MLK blvd?